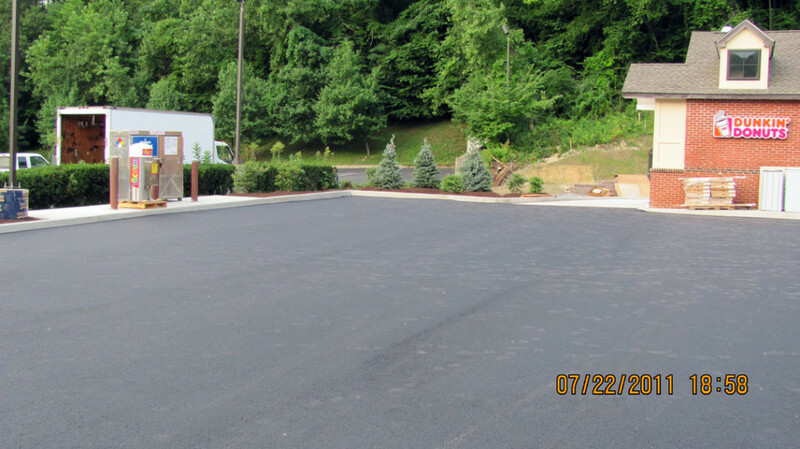 Whether it’s a restripe or a new layout we can assist with a plan that is beneficial to the property and traffic flow. 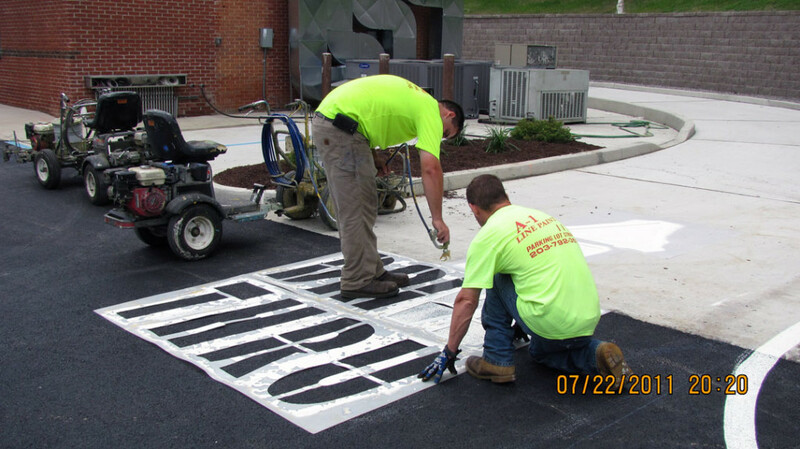 Other striping work could include crosswalks, loading zone markings, stop bars, marked pick up areas, crosswalks and directional arrows and we will work with the Property Owner or Manager to get the optimum use out of the parking area. We will also contact the local building department to make sure we are compliant with zoning and building code requirements. All parking spaces are a specific size; most are 9 feet by 18 feet or 20 feet. Some areas that have a one-way traffic pattern require the spaces to be on an angle such as 45 or 60 degrees. Some parking areas even have a designation for compact cars. It is also important to note that most, if not all parking lots, require at least one handicap space, as per ADA (Americans With Disabilities Act) and depending on local municipal codes, the property might be required to have multiple handicap spaces. 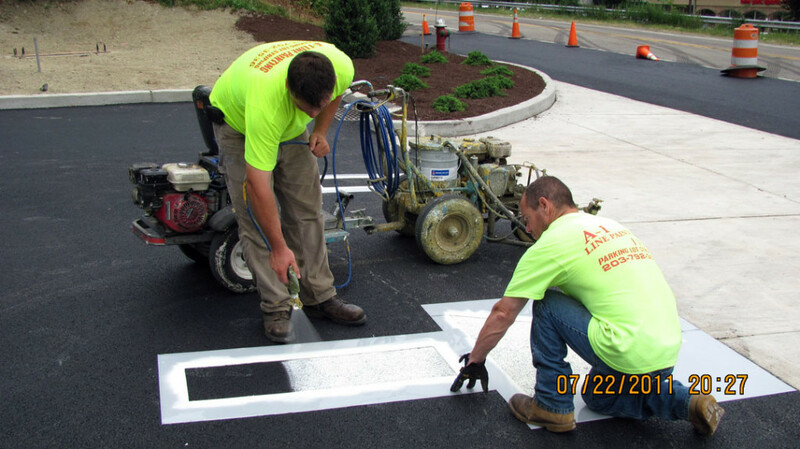 The first priority of A-1 Line Painting is that we use quality materials from national manufactures and the latest state of the art striping equipment to get the job done efficiently. 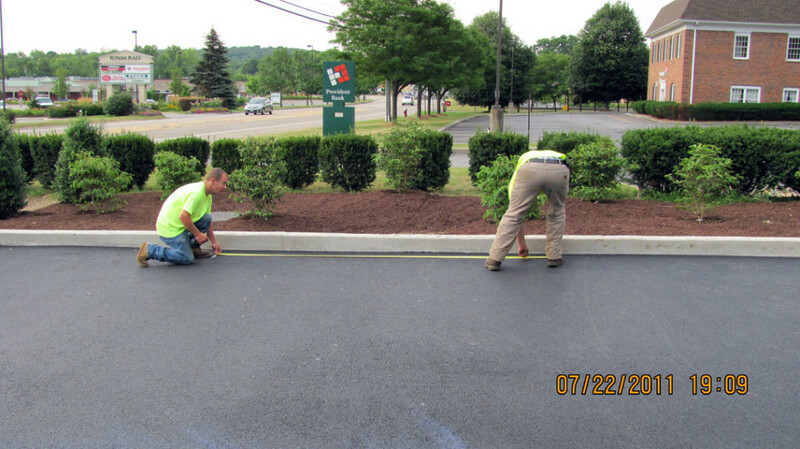 Using environmentally friendly materials is also a priority for A-1 Line Painting. 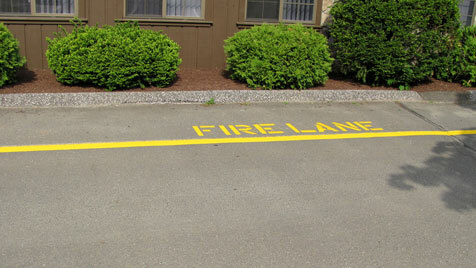 We only use low VOC zone marking or traffic marking paint. Preparation of the areas to be striped includes using a power blower or broom to remove debris. Newly striped areas should be free of traffic for at least one hour for the paint to dry properly. 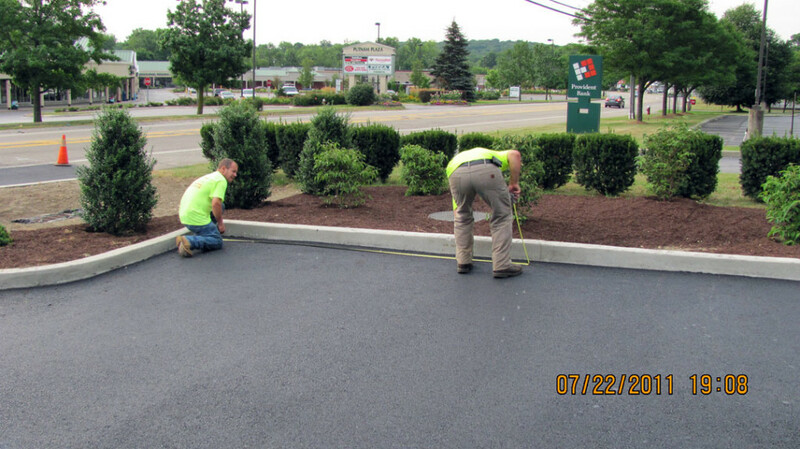 Our employees have ten plus years in the striping business and they bring a wealth of knowledge to the job site.